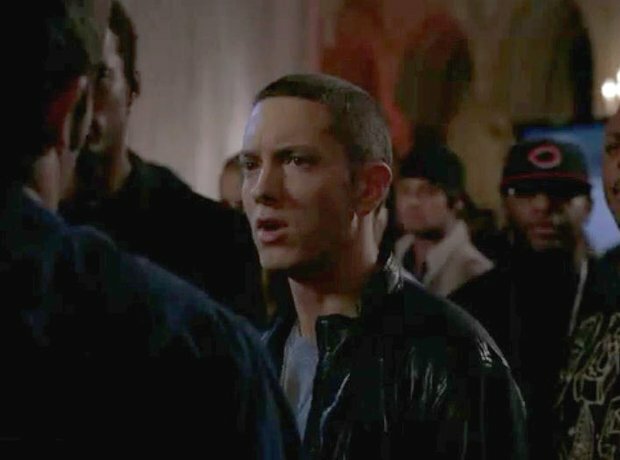 Remember when Eminem punched Vince in the face in Season 10's 'Lose Yourself' episode of Entourage? 6. Remember when Eminem punched Vince in the face in Season 10's 'Lose Yourself' episode of Entourage? HBO's 'Entourage' is known for its high-profile cameos - there have been so many, they are hard to recall. But no Vinnie and Johnny Drama fan would have forgotten the classic moment that an intoxicated Vincent Chase told Eminem he was 'too mainstream to fight his own fights." Of course, the punch Em' threw in Vince's face afterwards was just brilliant.